After serving as president of the state Board of Regents since 2013, Bruce Rastetter announced he will not seek reappointment to the regents, which oversee Iowa’s three public universities. Rastetter’s term as regents’ president, and as a regent, will expire April 30; Gov. Terry Branstad appointed Rastetter in 2011. In a press release, Rastetter thanked Branstad for the opportunity to serve Iowa and said leaving was a “tough decision” to make because of the pride he has in Iowa’s public universities. “However, I will leave the board satisfied that we made significant strides improving the value of higher education in Iowa,” Rastetter said in the statement. During his term, Rastetter said in the statement, the regents oversaw tuition freezes at the three public universities, record student enrollment, and expansion of University of Iowa Hospitals & Clinics — plus the construction of the UI Stead Family Children’s Hospital — as some of the major accomplishments. He acknowledged the contributions of his fellow regents in the statement. Rastetter, the CEO of Summit Agricultural Group, a company based in Alden, Iowa, said departing from the regents will “allow him to return to his agribusiness interests” in this region as well as in South America. The agribusiness giant also recently served on President Donald Trump’s agricultural advisory team prior to the 2016 general election. Rastetter said he “hopes to remain involved in the current issues vital to farmers and agribusiness,” including international trade, the 2018 farm bill, and conservation and land stewardship. 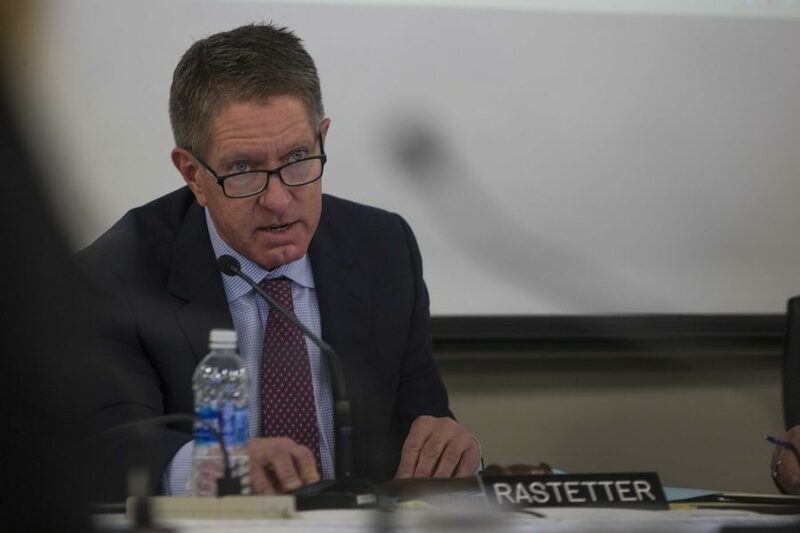 Throughout Rastetter’s term at the helm of the nine-member regents, he was the target of criticism about potential conflicts of interest between business and his role as a regent and the hiring of UI President Bruce Harreld, among other issues.